Weekly restorative candle-lit gong baths at a beautiful loft space in Clapham North (4 minutes walk from Clapham North tube). Sunday evenings 8-915pm. All welcome! 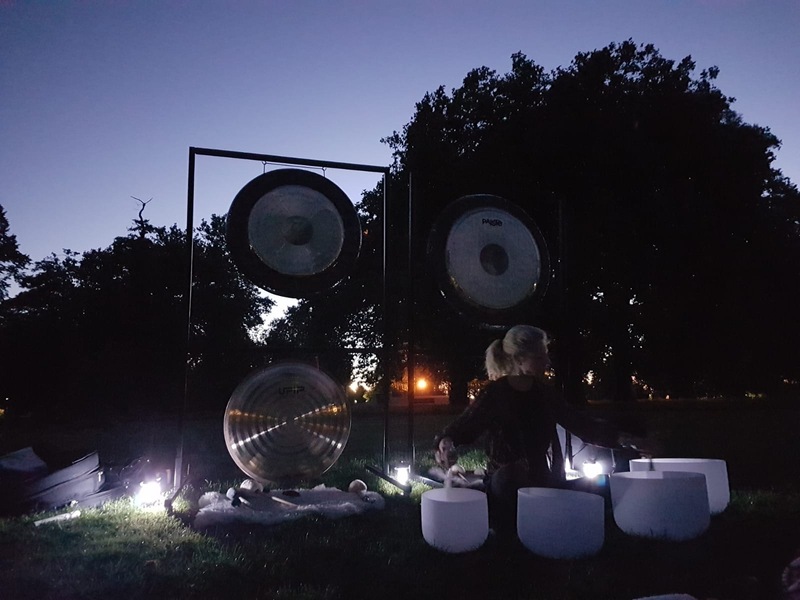 Experience the calming and energising sounds of large gongs, Himalayan singing bowls, and quartz crystal singing bowls, all played by experienced gong-player Cathy Eastburn. Release blockages and tensions, both physical and mental. Experience deep relaxation and maybe even achieve new insights into whatever is currently blocking you. Mats, cushions & blankets provided. Full info and booking on the sarasasound.com website - or join the Facebook Sarasa Sound Gong baths community.